Hi everyone! So by now some of you might have watched The Huntsman: Winter’s War. 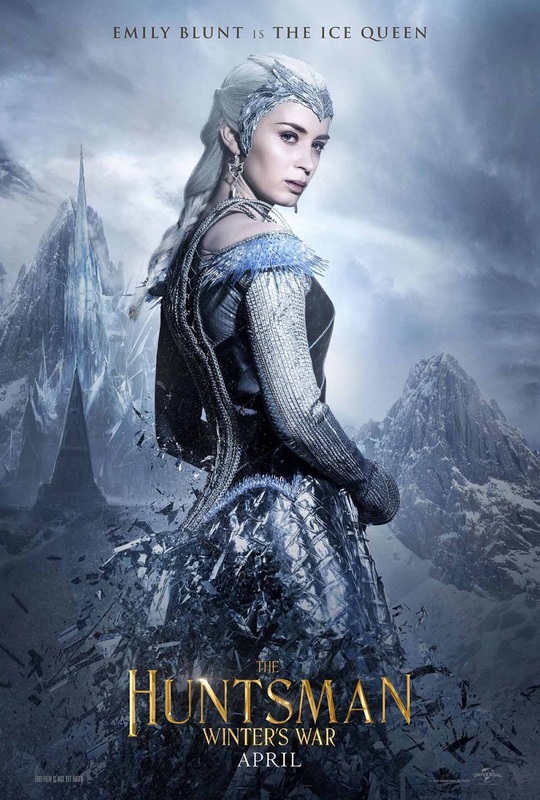 It’s taken awhile to reach cinemas – its predecessor, Snow White and the Huntsman, was released in 2012. So this story is a prequel/sequel, as there is a time jump. For those of you guys going to watch the movie, I highly suggest that you do not watch any of the trailers, because some details from the movie was revealed, and it would spoil the surprise – I know it did for me, because I’m such a fan of the actors and the story. For those of you guys who don’t want to read the long version, scroll down to the bottom to read the conclusion/summary. 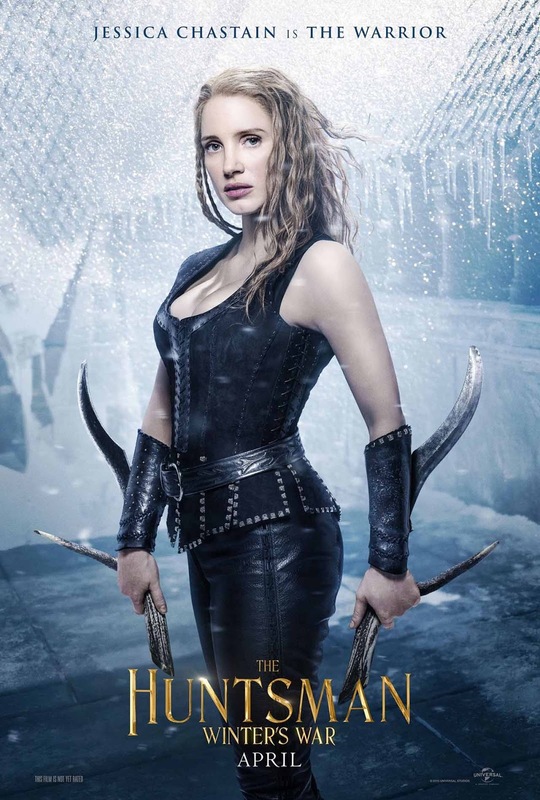 This is Jessica Chastain’s first action role, and apparently she did all the fight scenes. Kudos. However, she doesn’t have quite the presence to do an action role, and kind of falls behind to the other three leads. She might want to do a few more movies to find her ground in the fantasy-action genre. There’s a serious rivalry between Freya and Ravenna. Ravenna is an ambitious, powerful, paranoid and immortal queen, while Freya was warm, kind, and loving, but becomes a powerful, broken-hearted, cold queen. Freya is also younger than Ravenna, and her power had not manifested until she’s older (more on that later.) Charlize Theron really overacts the character, even more so than the first movie. 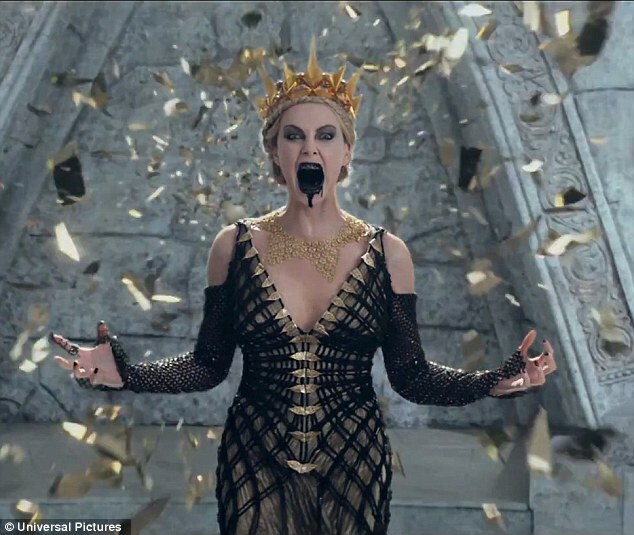 She’s terrifying, but I think SWATH’s Ravenna was more terrifying. 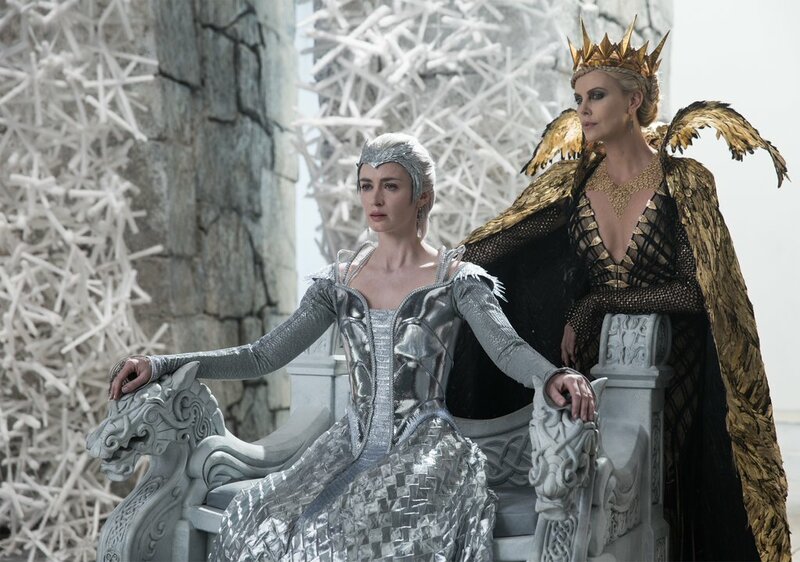 Ravenna has much lesser scenes in The Huntsman, which makes her a lot more cartoonish. There’s a few great scenes in the beginning, but overall Charlize’s role is the most cartoonish. Her British accent also doesn’t get better, which is a pity. She tends to over-enunciate her syllables, which, although it’s compelling and scary, with her voice, there were times when I wanted to giggle, because when she over-enunciates, she also speaks slower. When it happens too often, it becomes very obvious and really funny. 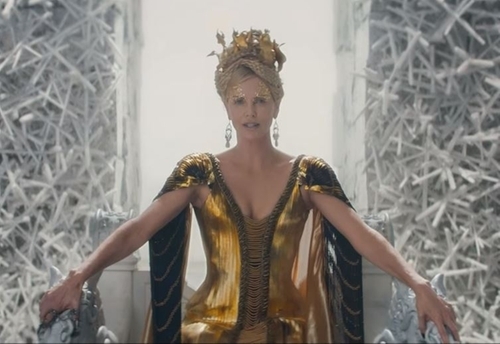 At least, in SWATH, Charlize got to redeem herself with the most badass speech of all time. Here, you can see the flaws are quite clear. 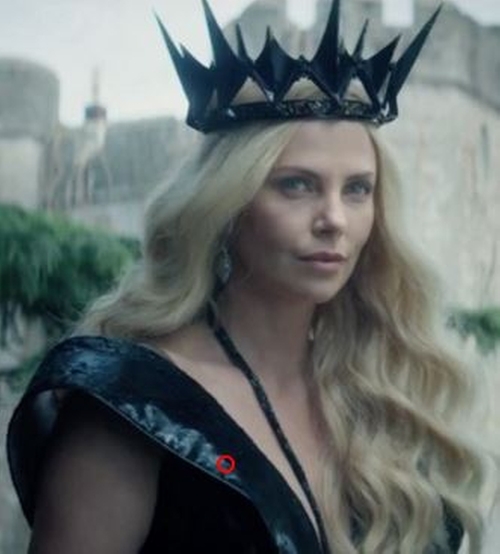 Freya, however, made me sympathize with her, and made The Huntsman:Winter’s War a good movie. Her character was the most believable of all, making me root for her the entire way through love, loss, anger and pain. I’ve seen a few reviews, and they say that Emily Blunt’s portrayal was ‘wooden’ or ‘stiff. I don’t agree – clearly. Her naturalistic portrayal was a great part of the movie, although I can understand where the reviewer’s are coming from, as they are probably comparing Emily to the other three leads, whose acting were over the top. She shows that sometimes, doing a little is actually more than enough. The other good part of the movie are the dwarfs. These four fellows have the best chemistry, have the best lines, and never fail to enterain. Nion, on the far right, falls in love with Doreena, the lady dwarf in the picture below. Gryff, on the far left, falls for Bromwyn, the ginger-haired lady dwarf below. I’m calling them lady dwarves, because she-dwarves remind me of She-Hulk, and I’d much rather not see that mental image. Doreena is sweet, and her and Nion are pretty perfect – she’s sweet, he’s gruff. Bromwyn – or as I like to call her, Potty Mouth. Bromwyn, on the other hand, is foul-mouthed, and is constantly bickering with Gryff. They are the bickering, like they have been married forever, couple. I almost wish that they had switched Brownwyn and Gryff’s lines with Eric and Sara, but then I would hate Bronwyn. Or Bromwyn could just trap Sara in another dwarf trap and steal the lines for herself. 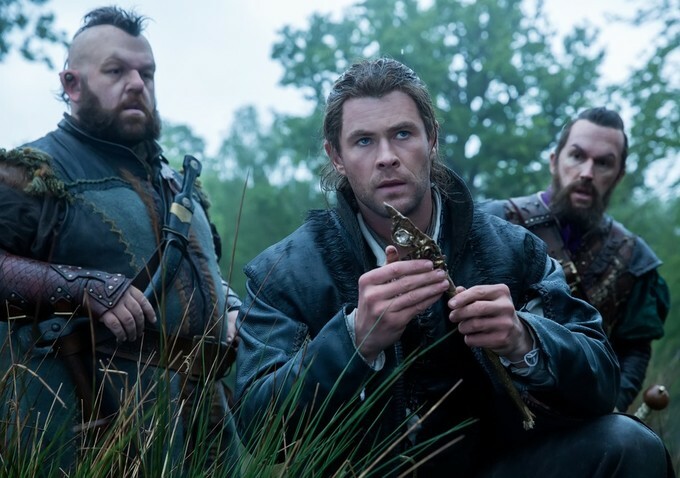 The Huntsman: Winter’s War takes place before and after the events of Snow White and the Huntsman (which is why it’s been called a prequel-sequel). Ravenna has a sister, named Freya. Freya falls for a duke who is promised to another, and becomes pregnant from some hanky panky. 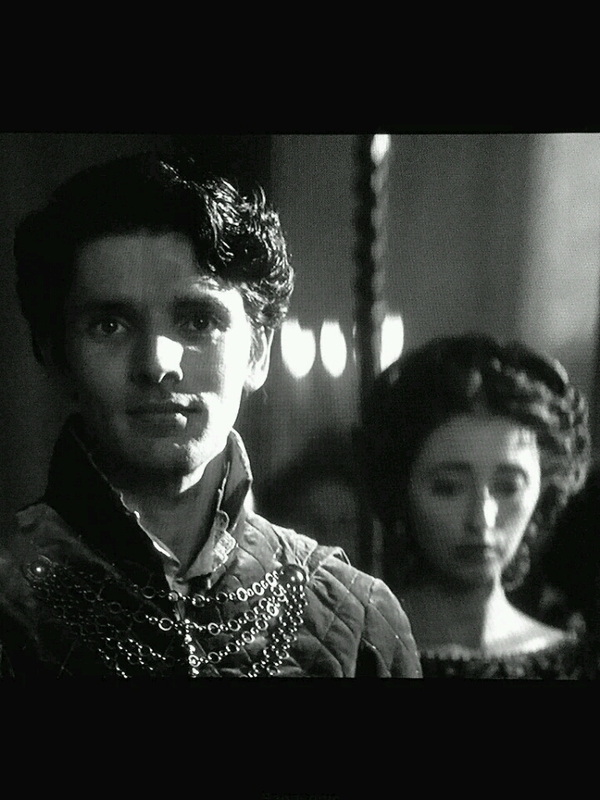 Colin Morgan as the Duke of Blackwood, and Freya’s beloved. 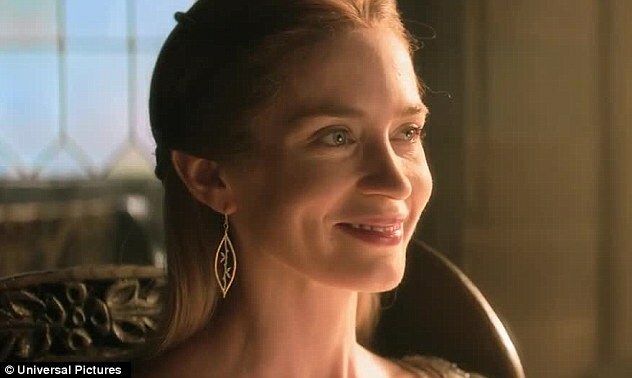 Freya gives birth to a baby girl, and the baby dies after the duke sets fire to the nursery. This loss causes her to become Freya the Frost. Freya moves to the north, and takes children to her home to train as Huntsmen – this is where Eric and Sara comes in. They fall in love, and Freya kills one and banishes the other. The time jump occurs here, as Eric comes to meet Snow White. 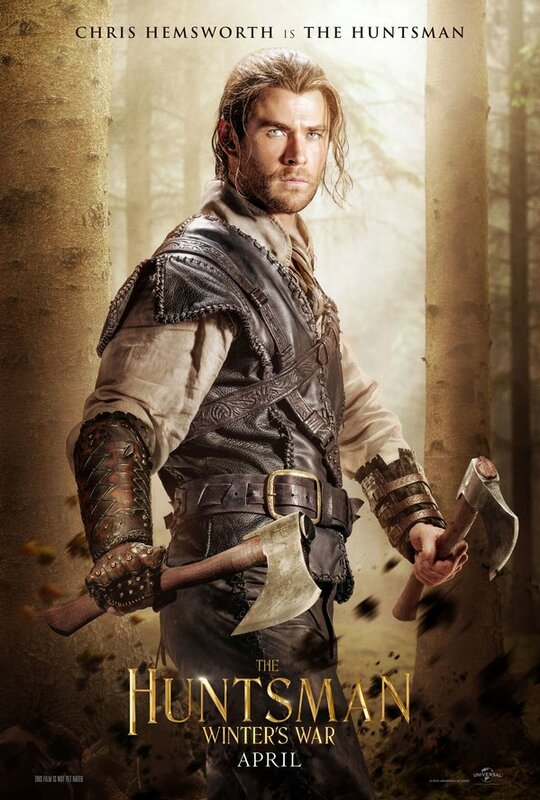 After a lot of things, including meeting his ‘deceased’ wife Sara, he becomes embroiled in Ravenna and Freya’s fight. One of many Youtube videos dedicated to the snow queens. 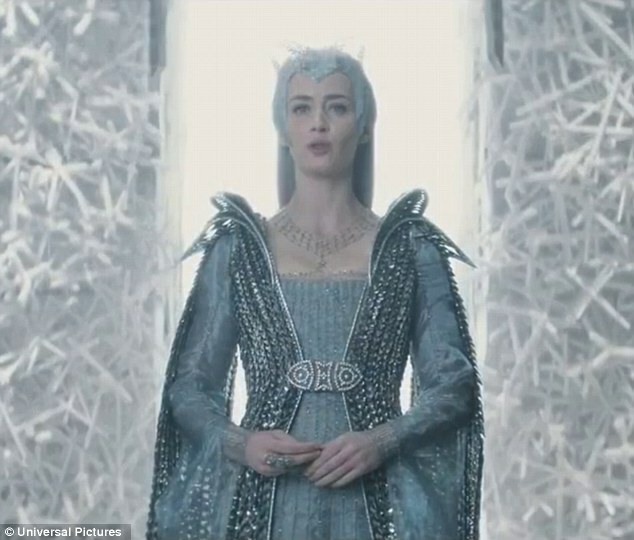 There has been quite a bit of a fuss about Emily Blunt’s Ice Queen. 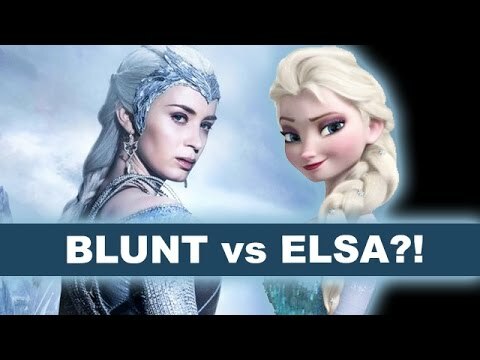 I personally didn’t think much of it – one was a musical singing queen of a tropical country, the other was an ice queen with her heart broken. One was born and used the ice magic from birth, the other had to have it awakened. I’ve watched Emily Blunt’s work before, mostly in The Devil Wears Prada. I’ve also watched the trailer for The Young Victoria, which is on my list of to be watched movies. She has a very naturalistic style of acting, which benefits the role and story. 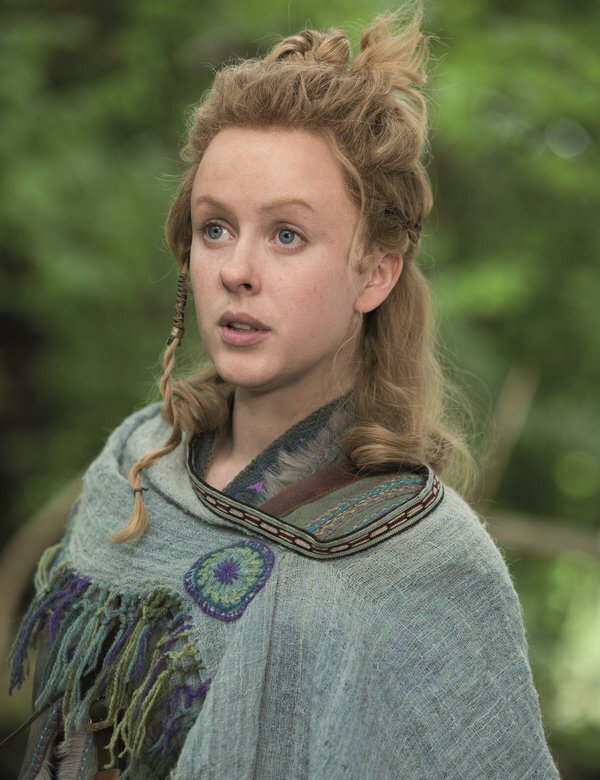 Freya’s really the best part of the story, and I felt for her loss. As you can tell, I really like Freya. The costume, the acting, the story – I don’t see a flaw. I’m the kind of person who likes a natural acting style, which is why I like Kristen Stewart’s Snow White, and Emily Blunt’s Freya. 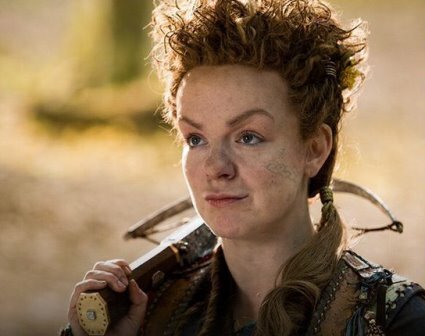 I’m thinking of doing another post just about the costuming, which was fantastic as always with Colleen Atwood at the helm – her works include Edward Scissorhands, Into the Woods, Memoirs of a Geisha. The mask that she holds here helps her link to her familiar – a snow owl. Eventually, Freya revives Ravenna, who had been living in the Mirror the whole time while she had died. 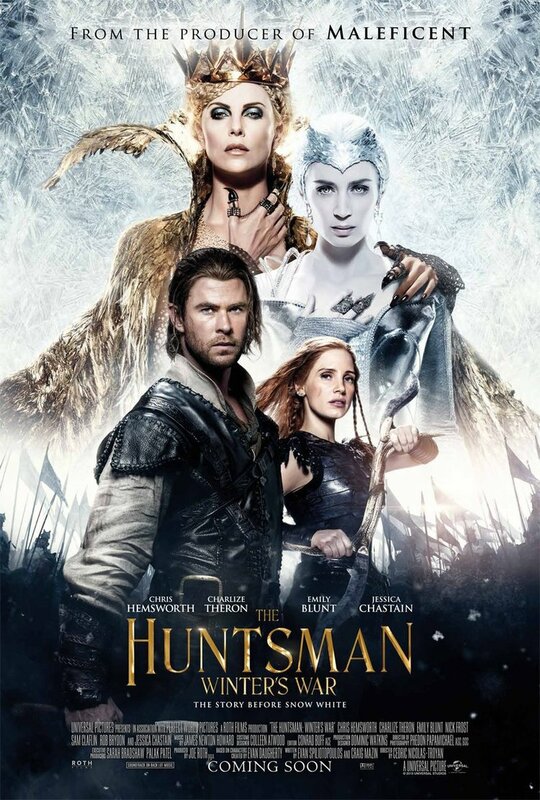 I would say that The Huntsman: Winter’s War is a fun movie as long as you don’t take it seriously. You might tear up a little, so bring some tissues and a tube of waterproof mascara. 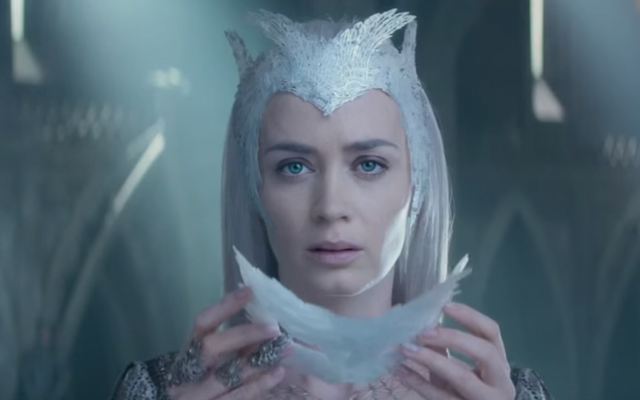 The CGI here is very well done, the costume is fantastic, the action scenes are great, and there’s Emily Blunt in this movie. There’s no song here, so don’t worry. For those who have watched SWATH, this is a lighter, funnier take on the Snow White universe.